Most construction and industrial jobs need work boots. There are actually regulations and company-based stipulations on certain features your boots must have. You also need to find a pair of work boots that are comfortable. So, what do you look for in a work boot? Here is how to buy work boots for any job or situation. We’ll discuss different specific needs, but mostly how you can pick a boot that you’ll be comfortable with for years. The first thing you must consider when determining how to pick the right boot is to know what specific regulations your job may require. If your boots are for personal work, you need to address what types of risks are involved. Here are some precautions and potential job stipulations to consider for how to buy work boots. Do you need toe protection or does your job mandate a particular degree of toe protection? Are you going to be exposed to chemicals, excessive surface heat, or consistently wet conditions? How much walking will you do in your boots? Before you settle on the perfect pair of work boots, check the OHSA foot protection standards. You should also consult with your employer and see what types of requirements they may have for footwear. The first step in how to buy work boots is to make sure the boot you buy meets all work-related regulations. This may seem like a simple choice, but it isn’t. 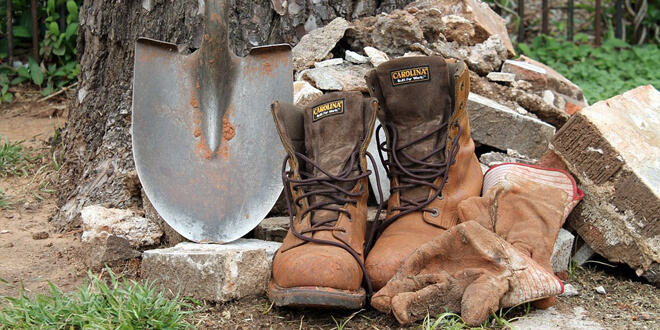 The materials used and the type of construction used to make your work boots are important. Similar to the job and work-related regulations, your job conditions will dictate how you approach this second step. 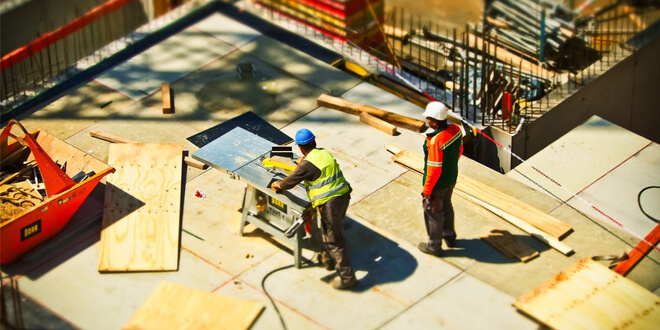 Here are some situations and conditions you should consider for how to buy work boots focusing on construction. If you work in wet conditions, what type of sole is your boot constructed with? Cold weather types of environments will require a boot that can keep your feet warm. Will you frequently be working outside in cold weather? Will you be working outdoors and in all types of weather conditions? If so, you should look for boots that are waterproof. When determining how to buy work boots, you should research different boot construction methods. Soles are attached by both stitching and cement procedures. Most boots have some degree of insulation, but not all have enough to handle very cold conditions. Again, just like with your job regulations, assess the types of work conditions you will be exposing your boots to. Always err on the side of caution, and buy a pair of boots with a quality of construction that will exceed the environmental conditions you expect them to withstand. The next step to putting the right work boots on your feet is the type of sole. If you stand stationary a lot on your job, you can get by with a harder sole for instance. Jobs that spend a lot of time on a rough terrarium, or have to walk on hard surfaces all day, should have a thicker sole with better cushioning. As you considered the work conditions you will be exposed to in step 2, also consider that when picking the type of sole. Most work boots will promote a non-slip type of sole material if their boot has such a feature. This may also be a job regulation for slippery work conditions. The main goal is to get something comfortable for you. If you have to spend a long hard day on your feet, walking a lot, you do not want a boot with a really hard sole. When trying on a potential pair of boots, get a feel for the flexibility of the sole as well. If you have to walk a lot, you want a flexible, comfortable sole. You can also gain a level of cushioning from a boot that is cut to handle a cushioning insole. Some boots allow for extra padding. Very high-quality boots will promote that their boot has a thicker cushion inside as well. If you’re not already acquainted with the types of boot material, test out different ones before deciding on one. The leather is the most common type of boot, and the inside feel of leather boots will improve as you get them broken in better. Following each of the previous steps perfectly won’t guarantee you a perfect work boot unless you get the right size. Know your exact boot size, both length and width. Most quality boots come in various widths. Boots that are sized wrong, especially too narrow, can be terribly uncomfortable. Realize that leather boots stretch slightly as well, so a size that feels snug, but not too tight, will prove more comfortable in the long run. If you are positive you want to add a cushioned insole, or you have insoles prescribed by a foot doctor, account for those as well. You’ll also want to decide if you want a low cut boot, a mid-calf design, or a full-length boot. For those who want or need extra ankle support, a full-length boot has advantages. Pick a boot height that you’re going to be comfortable with. The five steps covered thus far will get you a work boot that meets your job requirements, is made to withstand tough conditions, and ultimately will be comfortable on your feet. Here some other things you might consider when searching for that perfect pair of work boots. Durability – Since part of the process of realizing a comfort level in a work boot is getting them broken in, you want a pair that will last. Keep this in mind when you’re choosing the type of material and the quality of construction and workmanship. Value – One place where the old adage “you get what you pay for” may be extra important is when buying work boots. Be careful not to sacrifice value for comfort and quality. You can still be frugal and shop for sales, or boots that are offered at a discount. Medical Considerations – If you have foot or ankle conditions, always consult with your doctor when deciding on the right work boot. Conditions such as plantar fasciitis or heel spurs should be taken into consideration when picking a work boot. These are the basic steps on how to buy work boots. You may have some personal needs you need to address, but following these suggestions will help prevent you from buying the wrong pair of boots. If you have any advice from your own experience or recommendations on things we may have missed, let us hear about them.